Cruise Hive has now received a statement from Princess Cruises which states a travel companion first reported the missing woman. The ship was transiting the Shanghai River at the time. An onboard search was immediately launched and the woman was captured on CCTV footage jumping overboard from a public area on deck 15. Princess Cruises can confirm that a guest aboard Sapphire Princess was reported missing by her travel companion at 0915 hour. It was stated that she was last seen on the evening of 10 September at approximately 1900 hour while the ship was transiting the Shanghai River. A search aboard the ship was initiated immediately — while at the same time security personnel reviewed the video surveillance camera (CCTV) recordings. It has been confirmed that CCTV video captured the guest jumping overboard from a public area mid-ship on deck 15 at 2228 hour ship time on the evening of 10 September. The incident was immediately reported to local authorities by the Captain of Sapphire Princess and the ship reversed course to continue the search for the missing guest. Based on the elapsed time of the incident and other factors, including the distance the ship had sailed before the missing person was reported, the local authorities have authorized the ship to continue the voyage to Nagasaki, the next port of call on the itinerary. Sapphire Princess is on a four day cruise that departed Shanghai on 10 September and will return on 14 September. 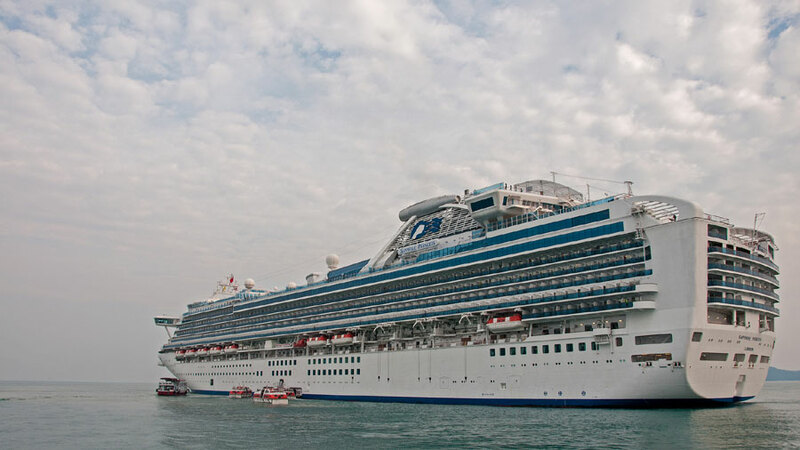 Reports are coming in from Asia that a female passenger from a Princess Cruises operated ship jumped overboard on Saturday night. According to the Shanghai Daily CCTV footage onboard the Sapphire Princess caught a 67-year-old female guest jump from deck 15 into the water at 10:28 PM on September 10. The woman had been confirmed missing at 9:15 PM and was last seen at 7:00 PM. The cruise ship did begin an immediate search along with local authorities. The 116,900 gross ton Sapphire Princess was sailing in the East Sea at the time which is also known as the Sea of Japan. The ship is scheduled to arrive back in Shanghai, China on September 14 as part of a 4-day cruise. This is the third overboard in the past 7 days, just days ago Cruise Hive reported of a crew member who went overboard a Norwegian cruise ship in Alaska. Sadly she was never found and the search was called off. Another tragic event took occurred last week when a female passenger jumped from the Carnival Ecstasy, the U.S. Coast Guard never found her and suspended the search. A passenger from Mariner of the Seas which also is based out of Shanghai apparently fell overboard last month. Astonishingly she stayed in the ocean for 38 hours before being spotted by local fishermen. Sadly most overboard incidents never end well. Cruise Hive has already contacted Princess Cruises and will update this post once we get a response.